Are you a cash game lover? Are you sick of losing at terrible bad beats? Microgaming’s Bad Beat Jackpot allows players sitting at any of our €0.10/€0.20 or higher Texas Hold’em tables to win big prizes! Simply opt in, to take a chance and take home a life-changing amount of money! Once you have opted in, you will contribute 2 cents per hand and it goes to the Jackpot. As long as you opt in and contribute, you are eligible to win the jackpot if it hits. The jackpot triggers when a player’s hand, which can be any four of a kind or better, loses against a better hand. The jackpot will hit even if the players that are in the hand and didn’t opt in before. Register with us to the ones of the most reliable Microgaming poker skins! You can choose between Betsson poker, Nordicbet poker, and Betsafe poker! Which benefits bring each of these rooms, check out on our site! Microgaming Poker Network (MPN) continues to search for the best version of the software. They are constantly looking for a feedback from their players. Based on the answers they get, they make the new versions of their client. In the latest upgrade, they made a lot of improvements, so players now can enjoy the tables even more. MPN is one of the oldest and the most reliable poker networks. Back in 2003. they started as a Prima Poker. Now they have almost 30 different poker skins, which are sharing the player’s pools. This is what makes them one of the most trusted poker networks. Microgaming Poker Network has its own poker development team made of software developers, graphic designers, project managers, and application testers. They were all working on the latest software version v38. After considering the players’ feedback, they created a new client which will be available from today. -Now its available to configure your settings even from the lobby. You don’t need to open any table like it was the case before. -Consuming too much of RAM memory problem is solved. -There are a lot of improvements when it comes to the late registration on the multi-table tournaments. Players will now take their seats much faster. -Players can now balance their tables more easily. And when they log in to their next session, table organization will remain the same as it was in their previous session. – Stealth Mode option. With simple background, turned off avatars, badges, sound, casino icons, and announcements, you can have the maximum focus for your favorite poker games. -Readability of the text on the tables is much better now. Letters are bigger and set on the appropriate background. YourPokerCash offers you 3 options for the MPN. 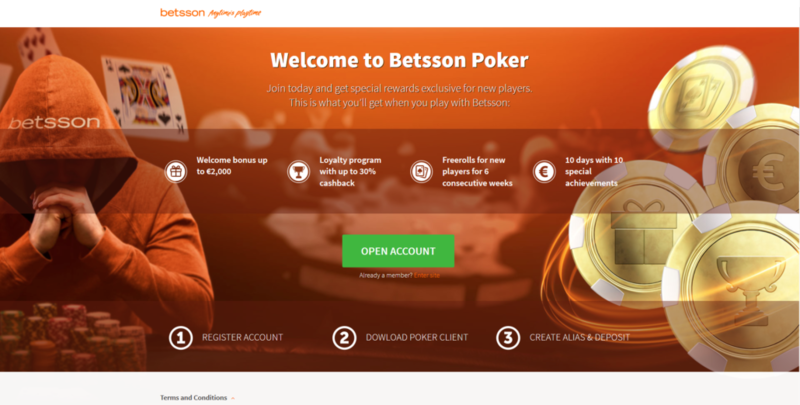 With many benefits, you can enjoy the latest software improvements with Bettson Poker, Betsafe Poker or Nordicbet Poker. Check the full offer reviews on our site. One of the best skins of Microgaming Poker Network is definitely Betsson Poker. Reliable transactions, effective and kind support team are things which, besides great promotions, freerolls, and maximum VIP status, make Betsson Poker a great option for every kind of player. As a new player, you are invited to two exclusive freerolls every Wednesday for six consecutive weeks after registering at Betsson. 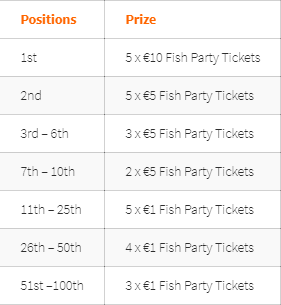 Register an account, player and share a total of almost €15,000. 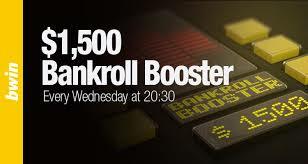 Furthermore, boost your bankroll instantly. 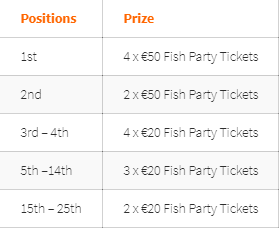 Finally, all players who have collected at least 500 MG Loyalty points on Betsafe, Betsson, or Nordicbet during each calendar month will be eligible to receive up to €5,000 Cash Prize. Prizes are automatically credited to player accounts by the 7th of the following month. More details about chase you can find here. Also, in the Fish Party lobby, players can choose from five tournament buy-ins. 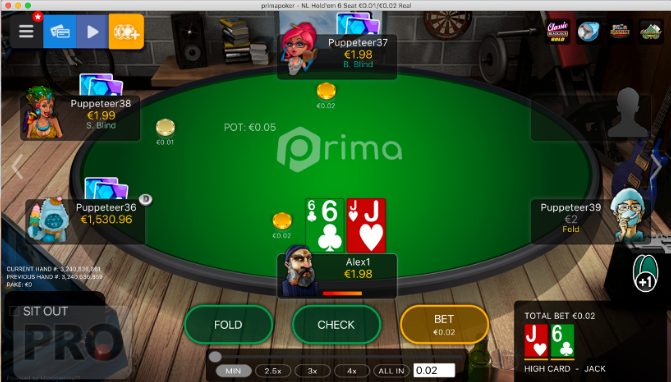 The buy-ins are €1, €5, €10, €20 and €50. 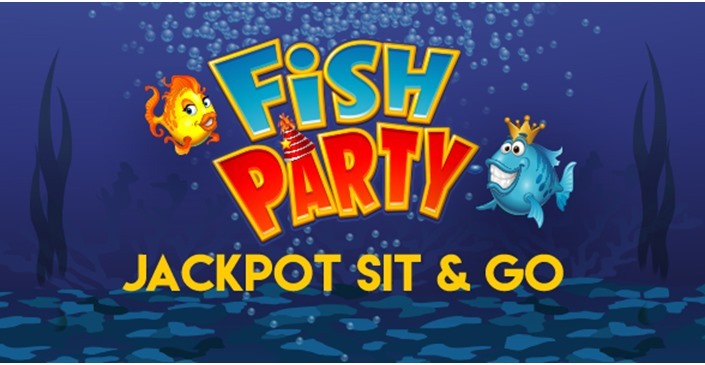 When three players are seated in a Fish Party Sit & Go, a simplified version of Microgaming’s Fish Party online slot automatically loads and completes one spin. Furthermore, the tournament prize pool is determined by the outcome of that spin. 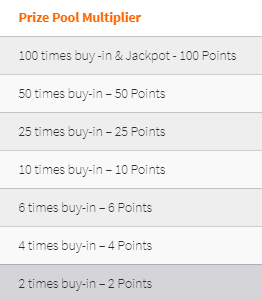 As a result, the progressive jackpot increases each game played. If the Progressive jackpot hits, all players on the Microgaming network can win up to 5,000 times your buy-in! At last, Betsson’s Bad Beat Jackpot allows players sitting at any of our €0.10/€0.20 or higher Texas Hold’em tables to win big prizes! Simply opt in, to take a chance and take home a life-changing amount of money! Once you have opted in, you will contribute 2 cents per hand towards the jackpot. As long as you opt in and contribute, you are eligible to win the jackpot if it hits. The jackpot triggers when a player’s hand, which can be any four of a kind or better, is beaten by a better hand. The jackpot will hit even if the players that are involved in the Bad Beat and are not opted-in themselves. Join Betsson today and experience this great offer! If you choose any of these 3 skins, you will skip climbing the ladder for 30% Cashback. Signing up through YourPokerCash or submitting your player details above qualifies you for an automatic upgrade to 30% Cashback, regardless of how many loyalty points you earn. You can choose from five tournament buy-ins. The buy-ins are €1, €5, €10, €20 and €50. 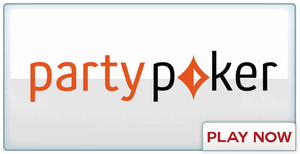 When three players are seated in a Fish Party Sit & Go, a simplified version of Microgaming’s Fish Party online slot automatically loads and completes one spin. The tournament prize pool is determined by the outcome of that spin. The progressive jackpot increases each game played. If the Progressive jackpot hits, all players on the Microgaming network can win up to 5,000 times your buy-in! Sign up with YourPokerCash and take advantage of this great VIP offer! If you have any problems with registering, be free to contact us. One of our agents will help you with registration or any other problem you may have. Finally, all players who have collected at least 1,000 MG Loyalty points on Betsafe, Betsson, or Nordicbet during each calendar month will be eligible to receive up to €5,000 Cash Prize. Prizes are automatically credited to player accounts by the 7th of the following month. Take your Fish Party Sit N’ Go action to another level and climb the leaderboard on your way to the top where the winners will get Fish Party tickets. You get points simply by playing Fish Party Sit N’ Go’s, but you will also get points for multipliers. 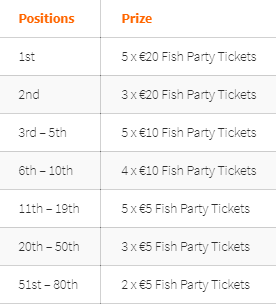 See the prize pool table below for more information. There will be three leaderboards according to the buy-ins, and they will run for two weeks at a time. After each two-week cycle, the boards reset, the players who made it to the leaderboard will get their tickets and the next challenge begins. And of course, you can compete in all leaderboards. Are you ready to reel in your tickets? You can find the leaderboard in the poker client under My Account Section. At last, Betsson’s Bad Beat Jackpot allows players sitting at any of our €0.10/€0.20 or higher Texas Hold’em tables to win big prizes! Simply opt in, to take a chance and take home a life-changing amount of money! Once you have opted in, you will contribute 2 cent per hand and it goes to the Jackpot. As long as you opt in and contribute, you are eligible to win the jackpot if it hits. The jackpot triggers when a player’s hand, which can be any four of a kind or better, loses against a better hand. The jackpot will hit even if the players that are in the hand and didn’t opt in before.